Customizable to your home’s filtration needs. The ProMate 6 Carbon Filter is a whole home filtration system designed to remove bad tastes, odors and dissolved organic chemicals from your water. 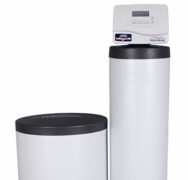 It’s the perfect solution for any home water issue and is customizable to your specific filtration needs. 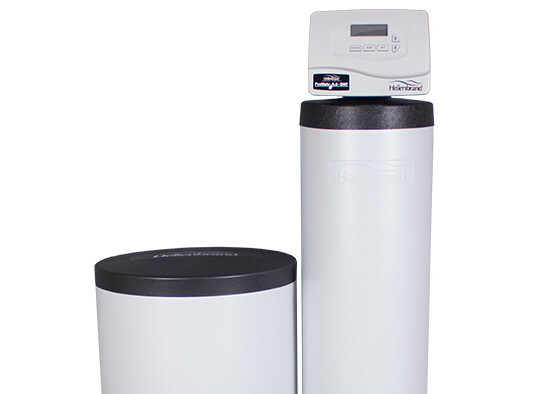 The ProMate 6 Carbon Filter saves up to 20 gallons of water per regeneration making it energy efficient, using less than $2 of electricity per year. Permanent memory backup of all programming and up to two and a half years of Time of Day backup. Variable reserve based upon water usage. 12-volt operation AC or DC. Taste and odor filtration system: reduce taste and odors caused by unfiltered contaminants. Aero-sorb filtration system: easily filter out dissolved iron and manganese. Multi-media filtration system: a unique blend of different medias for organic solid removal. Acid neutralizing filtration system: prevent blue green stains on household appliances with pH adjustment for your home’s water. Permanent memory backup of all programming. 2-1/2 years Time of Day Backup. Recently updated “High Intelligence Computer” improves efficiency. Informs the homeowner about system operation.